NORTH CAROLINA (WTVD) -- North Carolinians woke up Friday to storm debris left behind from Tropical Storm Michael. Drivers Friday will have to navigate roads littered with storm debris and downed trees. Click here for a list of closed roads in the Triangle. Michael, a historic Category 4 storm, hit the Florida Panhandle with winds at 155 mph. The storm weakened considerably by the time it entered the Carolinas, but its heavy rain and strong wind gusts still toppled trees and took out power lines. More than 600,000 people in North Carolina lost power in the storm, according to North Carolina Emergency Management. ABC News reports Michael is responsible for 11 deaths--four in Florida, five in Virginia, one in Georgia, and one in North Carolina. 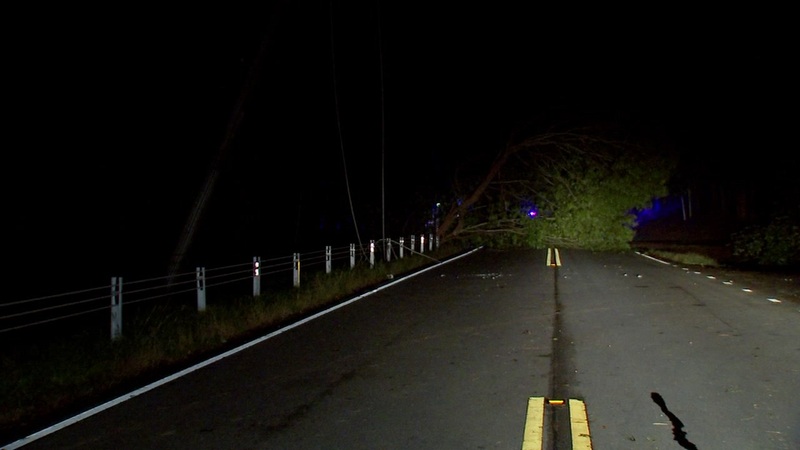 The North Carolina victim was in Statesville when a tree fell on his car. Thursday in the Triangle, Michael's rain caused flash flooding on roads. Michael dropped 2.7" of rain in Raleigh. After the heaviest rain, winds picked up. That combination resulted in several large trees toppling over. In Chapel Hill near the Carolina Inn, wind gusts took down a tree that was said to be more than 100 years old. The tree fell toward the historic hotel, causing some damage to the building. A massive tree fell on a home on West Club Boulevard in Durham, but no one was injured. Another large tree smashed an abandoned home on West Corporation Street. Downed trees will continue to cause issues with power and road closures throughout Friday. Flooding will also be an issue for drivers and emergency personnel. Officials encourage drivers to refrain from using flooded roadways. Wind will continue through Friday, but meteorologist Steve Stewart said they will not be as strong as winds from Thursday night. Many roads remain closed because of downed trees, power lines caused by Tropical Storm Michael. Check back throughout the morning while ABC11 crews continue to assess area damage.